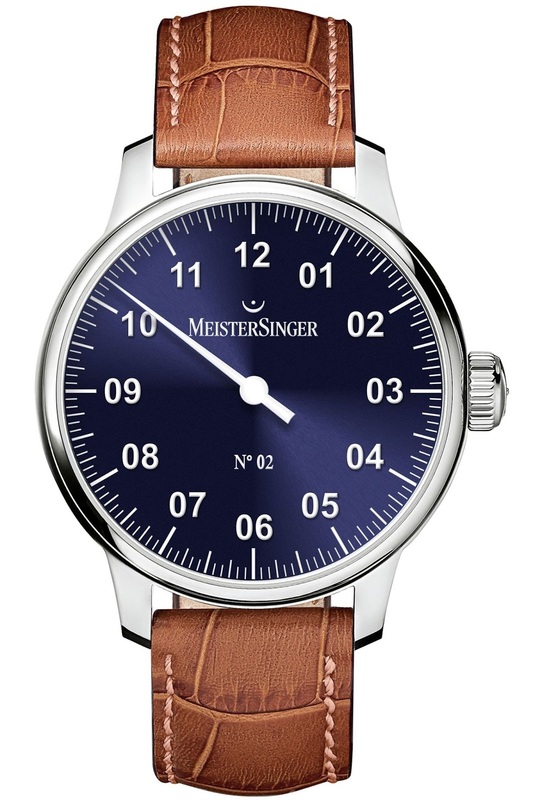 The functional design of the MeisterSinger single-hand classic No. 02 model is reminiscent of measuring instruments from bygone days. 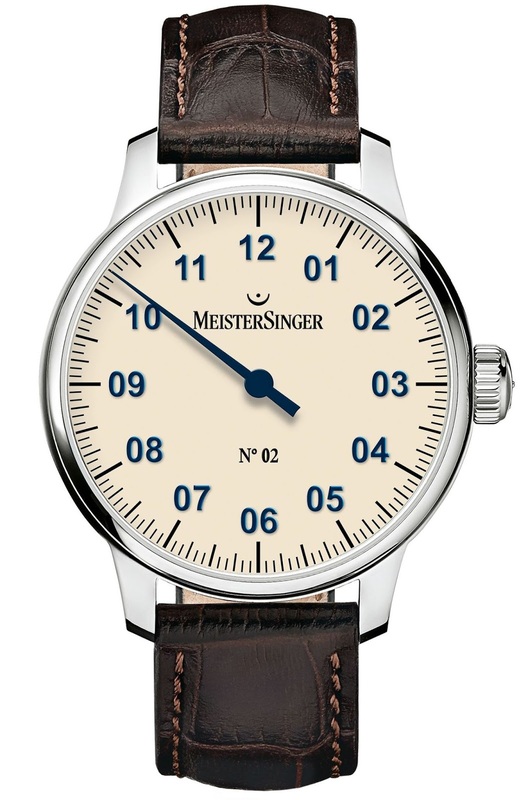 The new design of this classic MeisterSinger single-hand wristwatch also draws its inspiration from this heritage and now features new, more pronounced index markers as well as striking numeral applications instead of imprinted digits. The No. 02 will now also feature dials in a wider range of colors. 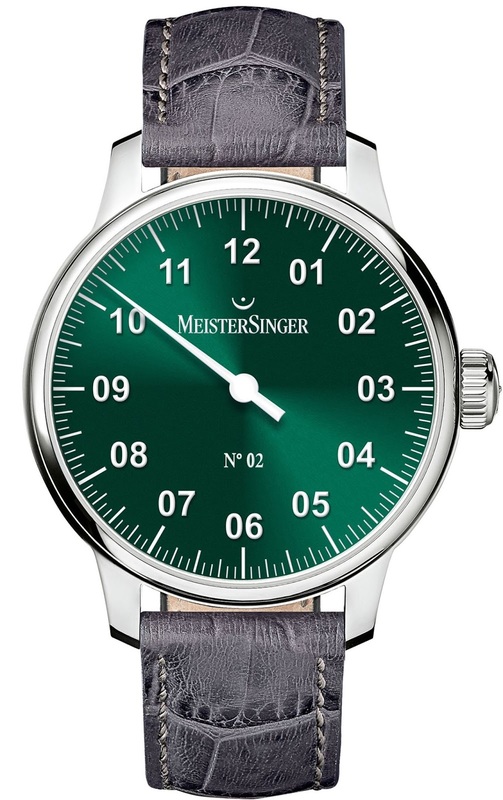 Alongside the classic ivory face, MeisterSinger will now be offering two new variations – in sapphire blue and a vibrant green. Both new dials will include a fine sunburst finish that shimmers in the changing light. White index markers, steel digits and a white hour hand provide these models with the necessary contrast. The applications and the hand of the ivory-colored version are blued. The No. 02 is powered by a Swiss-made Unitas 6498 manual-wind movement, which can be viewed through a glass exhibition back affixed with screws. The stainless steel case is 43 millimeters in diameter and water resistant up to a pressure of 5 bar.